across Asia-Pacific after a pilot in Australia showed a 20-30% cost saving on its former agency-led strategy. At the time, Lenovo had global deal with Mindshare. 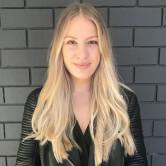 The approach was led by head of digital and social marketing Danielle Uskovic who recently departed the business. Spark Foundry Australia CEO, Sue Squillace, adds: “We are thrilled to be working in partnership with Lenovo and Performics with a client and segment that is at the forefront of innovation and technology. 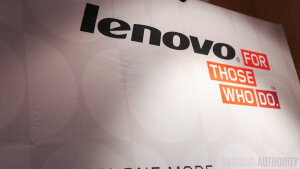 "We will connect and integrate Lenovo’s performance media planning, buying and optimisation across all markets." AdNews understands Ogilvy handles Lenovo's global creative business. Publicis Media has created a bespoke unit to handle Lenovo's global media strategy, planning and buying, called Lenovo One Media. The unit will be housed within and managed by Publicis agencies Performics and Spark Foundry and overseen globally by Andre Marciano, who will serve as its chief operating officer. The new solution will be responsible for media strategy, planning and execution and includes all forms of traditional and digital media as well as global reporting and tools for Lenovo’s B2B and B2C brands, and Motorola. Lenovo One Media will serve 28 markets across the Americas, EMEA and APAC, including Australia. Jason Tonelli, who quietly took on the position of Perfomics CEO six months ago, says the agency is delighted to help Lenovo drive growth locally through its performance marketing solutions. "Performics is already instrumental in helping iconic brands in Australia generate direct revenue via performance marketing, and we’re excited to deliver the same for Lenovo," Melbourne-based Tonelli says. In 2016, Lenovo brought its media buying in-house across Asia-Pacific after a pilot in Australia showed a 20-30% cost saving on its former agency-led strategy. At the time, Lenovo had global deal with Mindshare.